Who has a hard-to-buy-for hubby, brother or Dad on their list? Sometimes men leave us puzzled, and we don’t just mean when it comes to communication (!). Gift-giving for the guy set … well it can be a bit challenging. Never fear, our gift guide is here with our top recommendations for what to get the hard-to-buy for guy on your list who loves to be creative, hands-on and have a bit of fun too. Read on for our holiday gift ideas for dads who love DIY and make sure you read all the way to the end for some great giveaways! What man doesn’t love beer and bacon?! This is a cool way for him to make it all his own. These DIY all-grain brewing kits come with everything you need to brew one gallon of delicious, thirst-quenching beer in the comfort of your own home. With a variety of styles to choose from, the ingredient refills allow you to use the equipment in the kit over and over again! Give your dad who loves DIY all the tools he needs to be a brew master in training! Check Brew and Beast out online or on Facebook. television shows, including Netflix original programming. DIY Dad can get a little bit of inspiration while chilling out! as you enjoy saving energy by heating smartly. this gadget for over a year now and is a huge fan! Turtle a pair of Star Wars headphones for Christmas. It’s easy to get lost in the tools section of Home Depot. vibrant sound and it’s pretty sleek and unobtrusive too. that everyone can have a chance playing DJ! able to start his next DIY project sooner! the delicious meals that can be made on this baby?! This Weber is a gift for the whole family, really. And it lets Dad be creative in the kitchen. 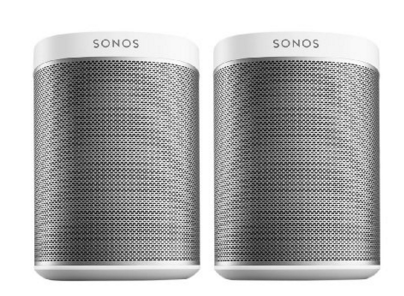 Enter to Win Some Of Our Gift Ideas For Dad! Like this post? Make sure to check back all this week for our other holiday gift guides for the creatives in your life. We’ll have giveaways in each gift guide! See our gift giving ideas here including gift ideas for creative kids and gift ideas for foodies. 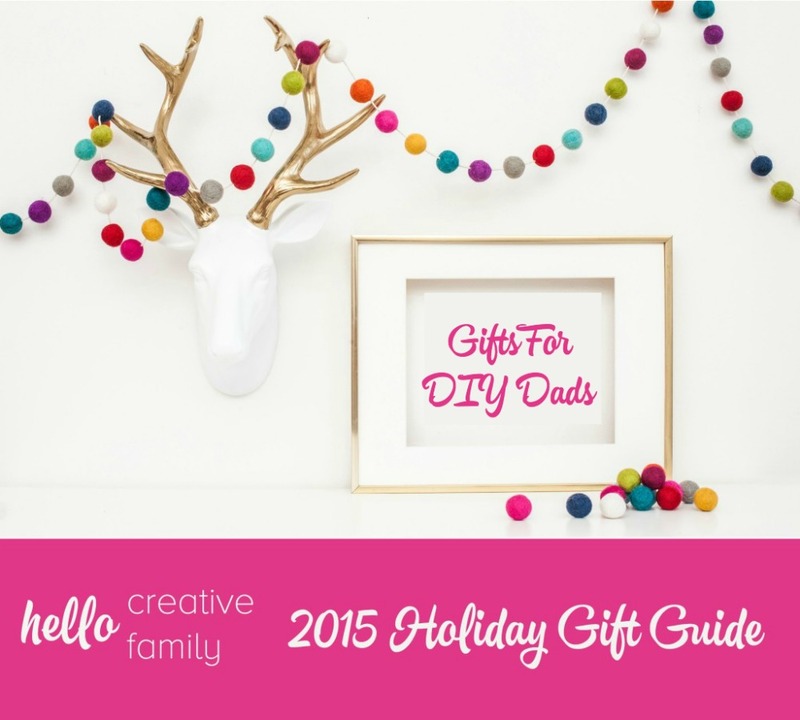 « Holiday Gift Guide – Holiday Gift Ideas for Creative Kids with GIVEAWAYS! I’d get the Home Right Finish Max Paint Sprayer for my dad who is a painter. He actually just mentioned he wanted a paint sprayer. 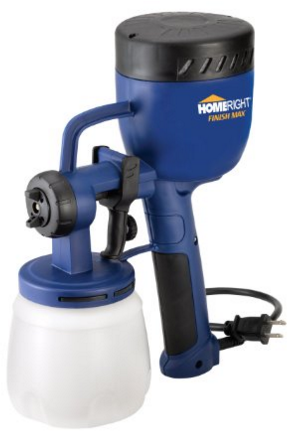 The Home Right Finish Max Paint Sprayer for my hubby! He likes to repaint cars. I’d get the NEST thermostat for hubby. He likes that sort of thing. Ohh,I`d get the Brew and Beast Beer and Bacon Making Kit for my hubby,I think he`d get great use out of that and he would love it! Hubby would love the Star Wars ! 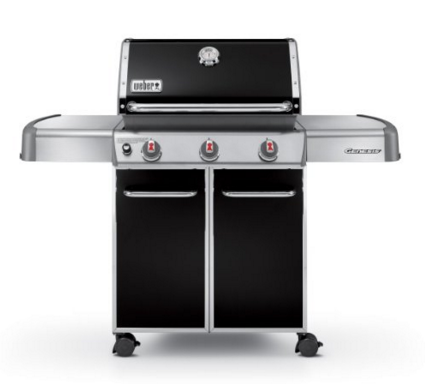 I would get the Weber Genesis 6511001 E-310 637-Square-Inch 38,000-BTU Liquid-Propane Gas Grill, Black for my dad! Ryobi 10 Inch Portable Table Saw would be perfect for my hubby. 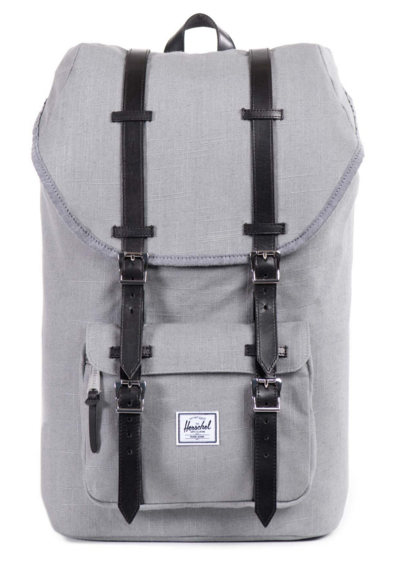 My husband would absolutely love the Herschel Supply Backpack. The Weber Gas Grill for sure! It has been on my list for awhile. I would love to surprise hubby with the Weber Genesis Gas Grill because our bbq is very tiny and old. I`d get the Brew and Beast Beer and Bacon Making Kit for my husband and his dad. My husband loves bacon and his day beer. The Ryobi 10 Inch Portable Table Saw would be well used by my husband. I WOULD GET THE HomeRight Finish Max Sprayer FOR MY DAD. I would get the home Right Finish Max Paint Sprayer for my hubby as I think he would love to use it. I’d love to gift the HomeRight Finish Max Sprayer to my Dad! I would add the Herschel Supply Backpack to my gift giving list for my little one’s Dad. It would get a lot of use. I would get my husband the brew and beast kit or the table saw. Might work for my dad too. The portable table saw would be perfect for my husband. My uncle Don is like a dad to me and he has been taking care of my aunt and dealing with a lot of things. I would love to get him a nice gift like the Brew and Beast Beer and Bacon making kit or the travel table saw. Thanks for this chance! My father in law would love the netflix subscription. I would get the Weber Genesis 6511001 E-310 637-Square-Inch 38,000-BTU Liquid-Propane Gas Grill for my husband. The holiday gifts for DIY Dads I would get is the Beer Kit!!! my husband could definitely use the sprayer!! My hubby would love to get Netflix. The Netflix Gift Card for my Dad. I’d definitely buy the Weber Genesis 6511001 E-310 637 for my partner! The Netflix Gift Card! I actually didn’t know you could get GCs for Netflix! I would give it to my Dad and my sister. 38,000-BTU Liquid-Propane Gas Grill, Black. Our BBQ . He loves to BBQ all year round. The Nest Learning Thermostat for my dad. The Netflix gc for my nephew. He could use some downtime to unwind and relax. My husband has really been wanting to get a NEST thermostat! 38,000-BTU Liquid-Propane Gas Grill in black, for my dad. He loves to grill and he could really use a new one, he has an old bbq which he refuses to upgrade so unless we buy it for him, he won’t do it himself! A Weber Genesis 6 Propane Gas Grill for my hubby. We are in cow country and steak is a fave. He needs a good grill to make those BBQ dinners better. I would get the beer making kit for my father! I would give my dad a ryobi 10in table saw!! I would add Brew and Beast Beer and Bacon Making Kit and give to my father. He enjoys making beer! I’d get my father the Netflix Subscription! I would get the Weber Genesis 6511001 E-310 637-Square-Inch 38,000-BTU Liquid-Propane Gas Grill, Black for my husband and he would love it. I’d get the Brew and Bacon making kit for both of my brothers. They both like beer and bacon. Perfect man gift. I would get the Home Right Finish Max Paint Sprayer for myself. It’ll help save me to much time and trouble! I’d definitely choose the gas BBQ for my dad. He needs a new one. I’d get the Brew and Bacon Makin Kit! 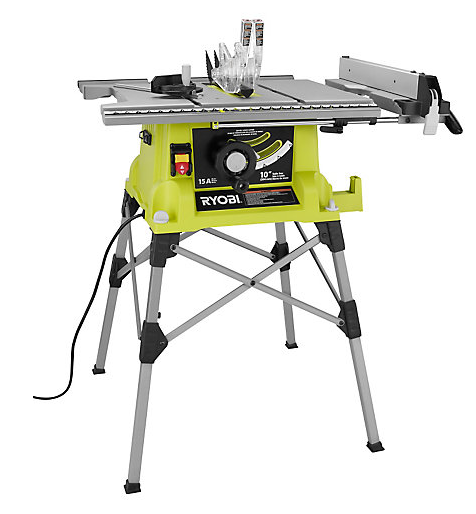 “Which of our gifts for DIY Dads would you add to your holiday shopping list and who would you buy it for?” I would buy the portable table saw for my father-in-law who is the ultimate do-it-yourselfer in our family and in his community. He’s constantly building, repairing, inventing things for friends and family. This would be a lovely surprise for someone so generous with this talents. My boyfriend (and I) would love the Netflix subscription. I would love the Home Right Finish Max Paint Sprayer for myself as my wife says it is time to paint again and guess who does all the painting. My husband could really use the paint sprayer. I think my husbands would like to try the beer making kit. Oops, just one husband. Typo. Ryobi Table saw would be wicked! My mom would love the Home Right Finish Max Paint Sprayer!! I would add the Nest Thermostat. I think it would be great for my Dad! Their thermostat is upstairs and they don’t have the easiest time getting around. Being able to change the temperature from their smartphones would be amazing! i would add the Brew and Beast Beer and Bacon Making Kit. it would be for me. i’ve always wanted to get into craft brewing. I’d add animation studio for my son. 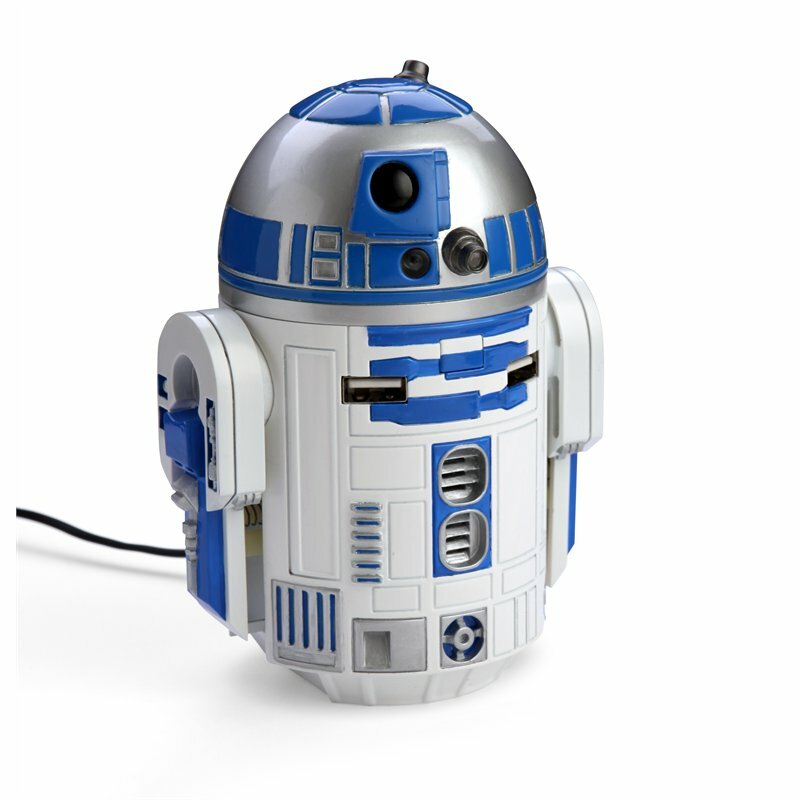 I would add the Star Wars USB R2-D2 Car Charger to my shopping list to give to my husband. I would like to win the Weber Gas Grill for my son ! I’d get the Netflix subscription for my partner. Netflix rocks! 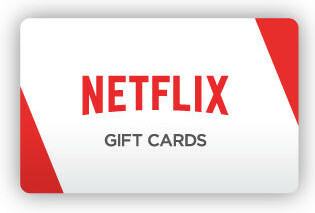 I’d get the 6 month Netflix Gift Card for DDs dad because he watches netflix 24/7. My guy would actually love everything on the gift guide but he has been asking for a beer making kit for months and months now! I would add the Ryobi 10 Inch Portable Table Saw because we are remodeling our basement and don’t have a table saw yet! The new thermostat for my brother. My Dad would love that barbeque! I would like any of them for myself, but for my dad I would get the beer and bacon making kit. I woul;David explain why, but it really needs no explanation!!! 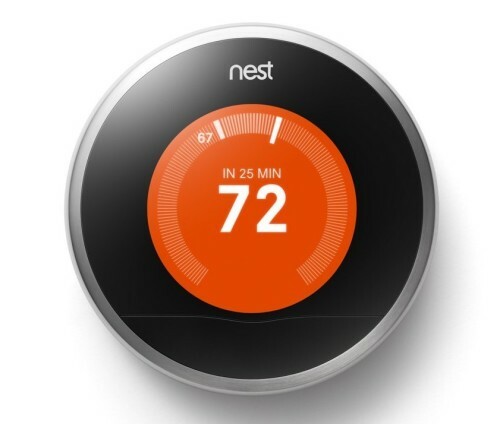 I have always wanted the NEST thermostat for better control of our home. 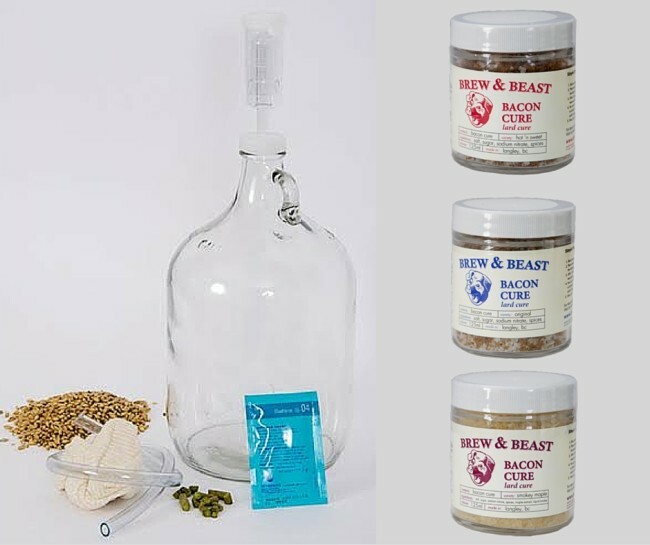 i would buy the Brew and Beast Beer and Bacon Making Kit for my boyfriend . I would get a netflix subscription for my dad. i would get the netflix for my dad since he is a homebody and watches a lot of movies. I would add the HomeRight Finish Max Sprayer for my Husband, he has been asking for one for months. I would choose the home right paint sprayer — my dad has so many projects he could use that for..
I’d get the Nest Learning Thermostat for my husband. I’d get the bacon making kit for my son because he loves bacon with everything!